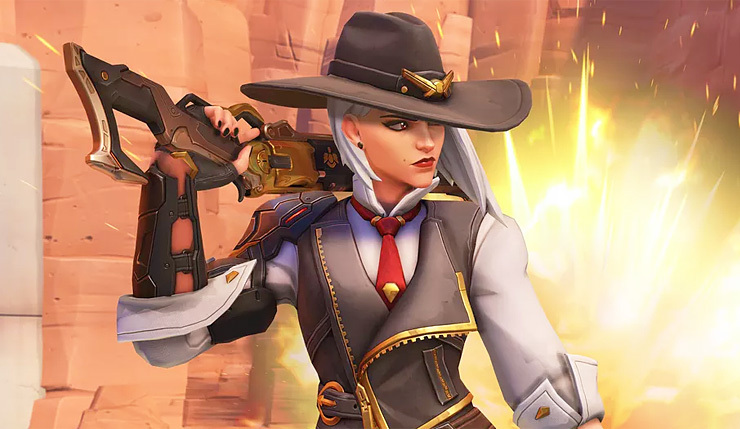 That latest Overwatch patch is here, and it includes new hero, Ashe. The character, who was unveiled during the BlizzCon 2018 Opening Ceremony is a long-range Damage Hero, who wields a semi-automatic rifle and is backed up by her trusty Omnic sidekick, B.O.B. You can learn more about Ashe right here. In addition to bringing Ashe to the masses (she’s been available on the PTR for the past week), the new update rebalances several Heroes, including Mercy, Reaper, Roadhog, and Symmetra. You can get the rundown on their changes, below. If you need to know about every minor bug fix included in Overwatch update 1.30, you can check out the full, unabridged patch notes here. Overwatch is available on PC, Xbox One, and PS4.